An historic hotel offering excellent accommodation and food. Local legend tells of the story of the devil fighting with St Michael above the skies of west Cornwall and the devil sending a great stone to the ground. This stone (which may have been a meteorite) landed behind the site of our hotel and The Angel Hotel is said to have been built from blocks hewn from it. The Angel Hotel was once the town house of Lord Sidney Godolphin who was First Minister to three Monarchs and reputed to be one of the finest politicians in British history. Thereafter, it became a noted coaching inn and has been trading for over 250 years. It has recently been refurbished and is under new management who are also responsible for two other historic hotels: The Union Hotel, Penzance and The White Hart, Hayle. 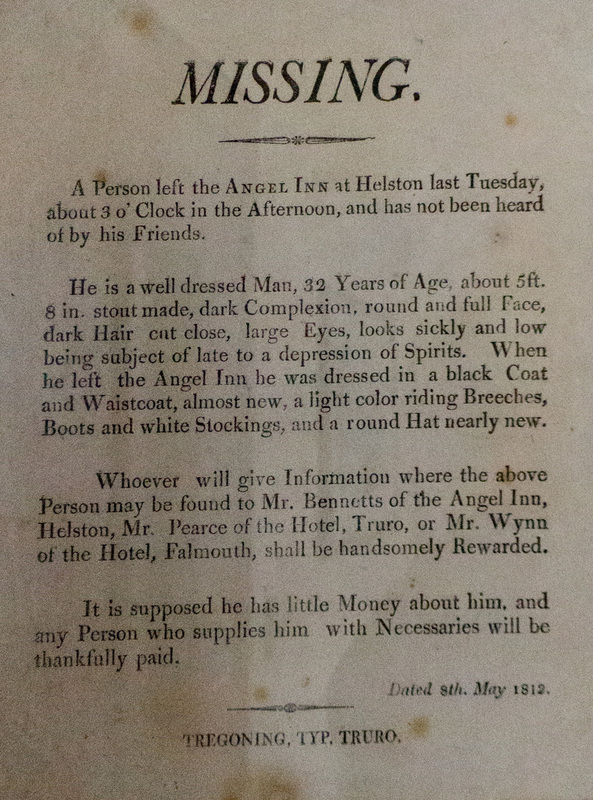 Find out more about the history of the Angel Hotel at Neil Titley and Nigel Scott-Moncrieff's excellent Helston History website. Telephone: 01326 569393 or send us an email.